Many brands are able to track ROI of specific social marketing activities, but getting a business-wide view can be a challenge. Here are a few things to consider. Brands are investing more in and expecting more from their social media channels than ever before. They are also doing more to track the ROI of those activities. Measuring the ROI of specific campaigns and activities on specific channels is an often complex task; with the right tools and tactics though, many brands are able to manage it. But getting a picture of social ROI on a company-wide level is perhaps even more difficult. A solid understanding of the high-level ROI for social media marketing is possible though, and it starts with a clear understanding of every point at which social media touches your organization. The first component of understanding social media ROI is getting an accurate, complete view of your investment in social. Knowing your overall outlay for social is not simply a matter of tracking your paid social campaigns. Accounting for spending on an organization-wide level is a question of looking at costs broadly and determining how much is spent on social, not just directly, but indirectly as well. Direct social media costs can be tracked in a fairly straightforward way. You spend a certain amount on things like social media management tools, on ad budgets for social media channels, and salaries for dedicated social media employees. Indirect costs for social media vary more widely from company to company, and identifying them can be trickier. Understanding indirect social costs is a matter of knowing what proportion of more general expenditures should be “credited” to social. Fees for legal services would normally be separate from social. But if, say, you need consultation to ensure compliance with social data laws in different countries, that would be a social expenditure. If content is conceived and created for both social and traditional media channels, part of the costs should be counted as a social investment. Marketing was the first function to head to social channels for a lot of companies. 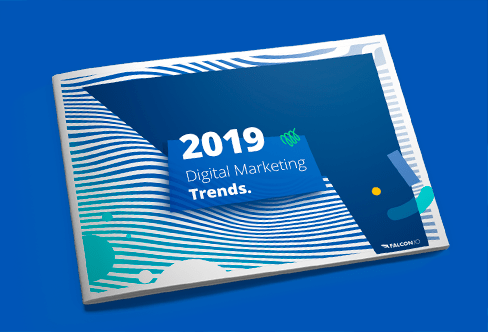 And social marketing has grown more complex, taking place on multiple networks, involving larger teams, and integrating with other marketing activities. Can you measure the ROI of your social media marketing for all of this? Having a solid idea of social ROI starts with knowing what marketing goals you wish to accomplish on social. For many brands, these goals can be broadly broken down into higher level objectives, related to branding and awareness, and goals that are closely tied to selling, like driving traffic, influencing behaviors (signups, for example) and increasing conversions. The process for measuring returns for the latter is often more clear-cut, as those objectives are closely tied to specific metrics that you can easily assign a financial value to. You can determine how much a website visitor is worth to you, use campaign tracking to find out how many visitors are driven by social, then calculate the returns on your social campaigns. You do have to consider, however, how to calculate ROI when someone has had multiple points of contact with your brand. If, for example, a user clicks through on a Facebook ad and purchases a product, the return could be attributed to that specific Facebook campaign. But if that user had already engaged with your brand on your website, possibly influencing the purchase decision, should the sale still be counted as solely the result of the Facebook campaign? Multitouch and weighted attribution models can apportion results according to the channels a user interacted with. Branding goals can be more of a challenge. Nearly every company that has a presence on social tracks metrics for audience, engagement, and sharing. These are crucial, but strictly speaking, tracking them is not tracking ROI. There are, however, a number of tactics you can use to track the return on investment for branding/awareness campaigns on social, including correlating metrics with financial variables. We explore them in more detail in our handbook on social media ROI. Seeing the big picture on ROI also means looking beyond marketing to any other activity that your company performs on social. If you use social media as a recruiting channel, you can track, for example, the time cost of doing candidate searches on social, or the response rate and costs for running recruiting campaigns on social media versus those of doing so on a dedicated job site. The same goes for social customer service. Every brand is different, but research from McKinsey shows that, on average, it costs a company $6 to $8 to handle a customer service issue over the phone, and less than $1 to do so on social media. And the process of finding and qualifying leads in a B2B context takes place on social media more and more often. How do the returns of social selling compare to the channels they had been using previously? What are the relative costs? As business becomes more social, social plays a role in a wider number of functions. Truly leveraging social ROI information is a matter of perspective. Getting a business-level view of social ROI means knowing the relative costs and returns of different functions, both on and off social, allowing you to adapt your strategy and maximize your returns. This process is both challenging and ongoing, but it pays big dividends for those who do it well.